The Ibanez Guitars of Head, Fieldy & Munky. 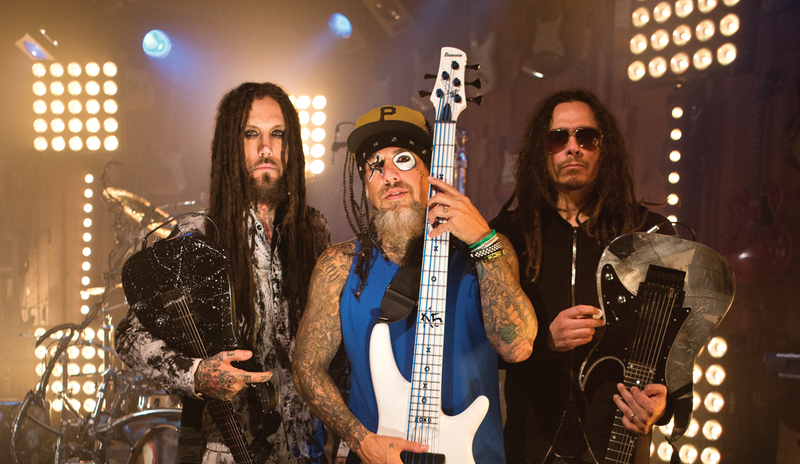 Since the band’s formation, Munky and Head have almost exclusively played seven-string Ibanez guitars, and Fieldy is most o en seen with his fi ve-string signature Ibanez bass. “I mean, [seven-string guitars just have] a more aggressive sound,” Munky says. “And you can reach that—just those four or five extra notes that kind of bridge between the bass and the guitar, there’s just that baritone area that we like. That kind of became our sound. 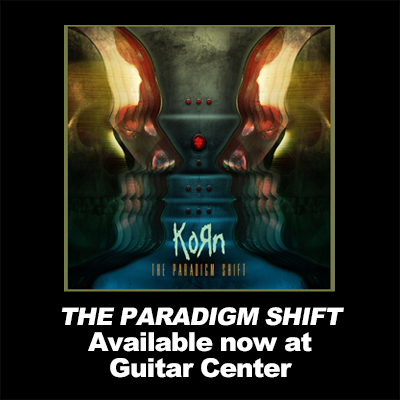 By accident.” Fieldy adds, “[The guitars are] so low that it needs something to cut through.” He goes on to say, “I don’t like bass. 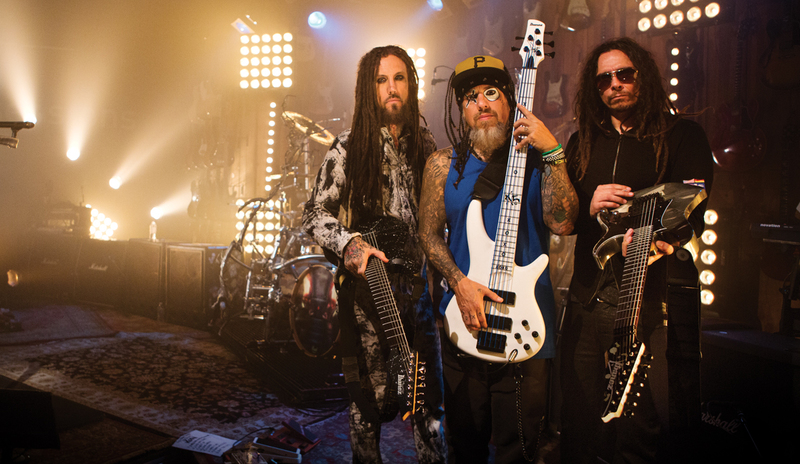 There’s enough low end in the guitars for me.” Munky describes Fieldy’s playing, “One of my favorite things about his sound, the way he plays … he can play with his fingers and get a real fat, full sound out of a bass, or if he’s doing a percussive click thing, it goes into a different register, which is more of a midrange thing, and Head and I can fill in that low end with low chords … so it really compliments each other.” As Fieldy puts it, “I wouldn’t mind, like, if it didn’t cost money, to hire a bass player and let me be the percussion clicky [guy],” he laughs.